From a while back. First time I had a decent stage 3, definitely not an easy stage. 1.5 is truly awesome though. Wanted to submit the clear, no matter how crappy. Finally got it after a bunch of runs where I died too much before last boss or runs where I died too much on TLB. Got wrecked on Stage 3 because I haven't properly practiced it yet. Ended up at the extend part though, and if I had gotten it, I might have seen Stage 4. Was mainly a run to see if I could pull off the stage 1 and 2 routes, and although I'm still not 100% on them, it's still good to have done it. Are the replays perhaps by any chance uploaded to youtube? I would like to see them, particularly the 848 million in Ultra. I haven't saved a replay at all. I thought I was a digit behind so I counted it as a bad run and didn't save it. If you interested in how I learned. It is basically like I said a long time in the conversation we had. Practice ver 1.5 ultra max. then everything is far slower. exploit the plants in stage 2 and delay the cancels in stage 3 to get as many bullets canceled as possible. Hi, is this from Mushihime-sama Standard, as it's labeled here, and with default settings, not max or whatever other modes exist these days? If so, do you mind listing the individual stage scores and also the counter/chain for the mid-bosses? Also was it manual or rapid fire, and what power type did you use, S or M or W? Setting should be autofire since I haven't found a way to turn it off. So either you misread the scores for both Maniac and Ultra, and added an extra digit, or there's some sort of glitch in the PC port, or you posted a fake score. That is assuming that the PC port doesn't start with the perfect settings for the rapid fire rates, for multiple A and C shots. O.k. so what I did is play mostly ver 1.5 ultra max on the pc port. goal was to get a 1cc on it, which I haven't gotten. Now one day I got a breakthrough and ended up on stage 4. on the same day I thought "oh well it went so good. so why not try it on normal ultra". and so I ended up with these scores. Replays don't work well. and most of the time you die in stage 2 although you ended up on a later stage. stage 2 flowers are very important so you have to wait til they fired or you attack them before so you can attack them for extra score. I used wide shot. heard that it is the best for score and found a way to work with it. 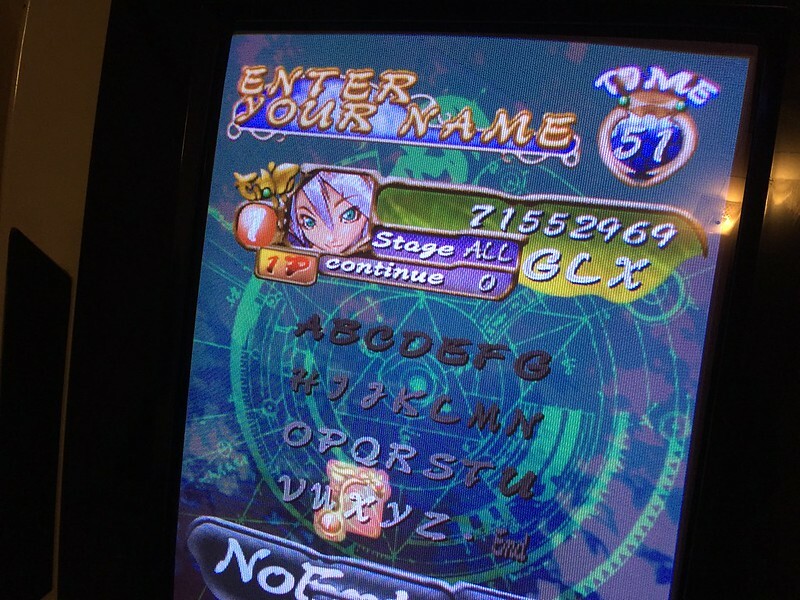 my acc is linked to the pc port so it should be easy to identify that these scores are mine. have a link to my steam acc on my twitch. How the hell did you get 300m in stage 1 when the dvd superplay gets 7.5m? Can you explain the jump from 7.5mil to 317mil in stage 1? You can probably easily understand why people have doubts when seeing this. ah now I see. dunno why it was recorded like that. I am sure that I got these scores on ultra and normal right after ver 1.5. An option might be that the scores inside the gameplay are messed up. so it is fault of the port. I didn't really care if the port has issues at all. I just played. It could be possible that the scoring system in general is messed up on it. o.k. so I watched the replay. they seemed to messed up quite a lot. in the pc port you get a very heavy slowdown when attcking the flowers in stage 2. and on ver 1.5 ultra max (maybe 1.0 ultra aswell) you get a slowdown during rapidfire. like said I am very sure that it is the correct score displayed. as for myself I guarantee that I didn't use any 3rd party software for the run as I hate cheaters. I thought the leaderboards on the ports were fine though. otherwise I wouldn't have posted the scores here in the first place. I forgot to save them. and even if I did. the replays are broken on pretty much every port. you know it yourself from dfk. Not sure. I was pretty dedicated to scoring in it back then. did a few credits each day for maybe a 3 months duration. I don't have the replay. but I know that the replays are broken. I have some from other runs that don't work like intended. but they don't have to do with this mode or are different score runs I just saved for routing. Jack, it would really make things easier and put an end to this discussion if you just say that your scores are not done on 1.0 but 1.5. Even if you have forgotten which version you have played, you can clearly see that it wasn't 1.0 with the evidence at hand here. Everyone here knows that those are not 1.0 scores, the missing part is only you admitting it. You've made a mistake. So what. why do you want me to lie to myself? It is not my fault. but if the leaderboards are broken(which I didn't know before). I can agree that the score might not be the correct one. but from experience the leaderboards on mushi were fine so yea. that's just my 2 cents on that. Updated. Didn't include mitsuruga's submission becuase it was for Futari, not original Mushi. I also didn't include Jacks score. If Jack could resubmit that would make this a little easier since there was some discussion. I've been absolutely addicted to this gem of a shmup recently. I was pretty close to a No Miss, but, I think I'll need to fine tune my run a bit more before that happens. Tapping away is a joy in Original Mode. Mushi is such a fantastic game. This whole time I thought Jacktheavenger was someone else. Never mind. I think some of the No Rapid submissions were from players who thought that meant no autofire at all. Props to whoever those people are. As my score shows I don't quite have the hang of the Parent Child Counter Bank yet, not to mention my survival could have been better.